Welcome! Enjoy the best golf forum on the planet! Nice to see another NW member. Where are you located? I enjoy that area, but it is a little wet for me. I am on the other side of the Cascades; the dry side. Love getting fresh shrimp off the boat at the Edmonds dock at 4pm. I try to make it over the Seattle a couple of times a year to play golf with a jazz musician friend of mine. Welcome to the forum. We got a lot of good topics going right now be sure to jump on in. If this post is not permitted, please delete. The 2019 Milltown Open to benefit the Lanier County Lions Club is being held on Friday, May 10th at Stone Creek Golf Club in Valdosta, GA. 4 man scramble with cash prizes for 1st and 2nd place along with gift certificates for longest drive and 4 close ups. If you are in the south Georgia or north Florida area and interested in playing, please come out and join us!! Box lunches provided pre-round and a BBQ buffet will be provided post round. 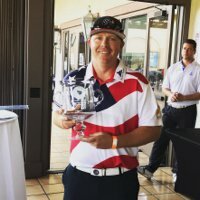 A buddy of mine is a former PGA Tour Caddie and current Sport Writer. He and some other caddies started this site that has a lot of great content. The Caddie Network, a lot of inside info from caddies that you may find interesting. Here's one piece that I thought was particularly interesting. This is a fun read, that if a player shot even par on the tournaments he was qualified to enter for a full season, where do you think he'd finish on the money list. It'd be interesting to see everyone post their guess before reading the article. This is my first post on the forums and I feel its one of the few places I will find the answer to my question. We have a golf league based out of Pakistan in which we play monthly league-style matches consisting of 7 teams with 8 players in each team. Due to time constraints and player availability we play our singles match-play and 4-Ball Match-play during the same round of golf. In the singles match-play Mike will be playing against John and Kevin will be playing against Alex. During this they will also be playing a 4-Ball match where the best score by each team counts. So essentially there are Two Singles Games and One 4-Ball Game being played at the same time. B. Should we only use the Singles Match-Play scorecards to be used towards a player's handicap. The reason I ask is there scenarios where one or both singles match-play games have finished early in the round but the 4-ball finishes on the later holes. (For example Both Singles could finish 4&3 and the 4-Ball could finish 2&1) So technically the players would have played 17 holes in total instead of just 15. Apologies in advance if this is overly confusing but if anyone can help that would be awesome! What are your golf targets for the season? 4. See 3 above. I'm now 57 so get there I think I need more time on the course before it is too late! Retire? Every year I participate in a the same few tournaments and it got me thinking - what do you do to prepare for the tournament round(s) ? Do you practice more, play more, practice those shots you know you are going to hit during the round, practice your weakest shots to shore it up for the tournament study the course and come up with a game plan or do you do nothing at all ? Every year, I've approached the same two tournaments the exact same way - I try to go to visit the range a few extra times to get the swing a bit more honed in. I also start looking at the course map/hole layout, to strategize what clubs I want to hit to get to a comfortable wedge distance, and go in with a mindset that I can do what I plan. It somehow goes out the window especially if I start off bad. Ultimately, the results are the same, I place mid-pack for the tournament. So what do you all do ?